Disclosure: This post provided by The Motherhood and Jack's Pizza. All opinions are my own. Temperatures are dropping in my part of the country and I think it's safe to say that summer is definitely over. 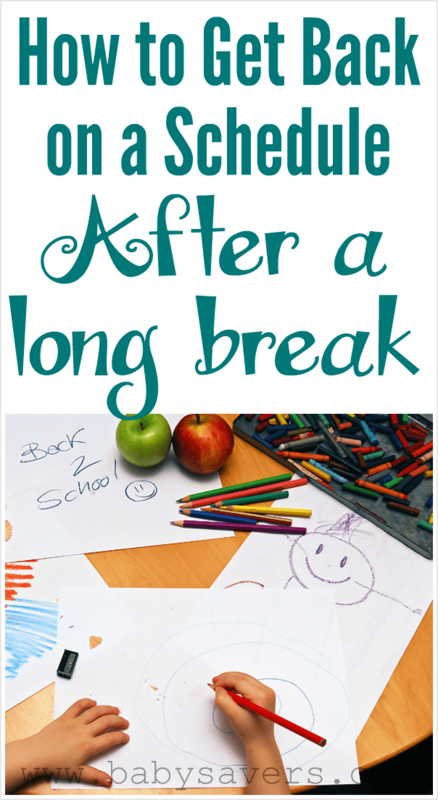 Our family is entering our second year of homeschooling and, given everything that's been going on with preparing to sell our house and buy another, getting all of us back on schedule after a few months off has not been easy. There are a few things that have helped get the kids and I on track during this busy time. I fully admit that I haven't been able to accomplish all of these at the same time. But that gives me a goal! I'll definitely deserve a treat when we do everything in my How to Get Your Family Back On Schedule After a Break guide in one day! Set a simple morning routine for the adults. If I roll out of bed without a plan for how to proceed, I'll wander around, look at the news and weather on my phone and generally waste time. A simple schedule helps get my day started right. Set a simple morning routine for the kids. Post it somewhere they can see it. Printing out a schedule for Haiden and Piper is something I need to do. At 6 and 7 years old, they're pretty good at doing a few things they need to do without me asking them. At the same time, they love to “own it” when they do things without any prompting. Posting a list will give them independence. All of our important dates are written on a calendar. The kids ask me questions about what's going on almost every day, and it keeps me on my toes! It also ensures we avoid conflicts or missed appointments. Anyone who knows me knows that I'm the last person who should preach about keeping space free from clutter. But prepping our house to move and being accommodating with showings has done a lot to help me see the error of my ways. Since our common surfaces have been continuously clean for several weeks, our house feels different. I can find things. The kids aren't fiddling with the little bits and pieces of everything dropped in a basket on the table. It's easier to prepare meals. It's also easier to just start schoolwork at the kitchen table instead of saying “It's time to start school,” Then taking a few minutes to clear out a workspace, I can just say it and the kids can get started. I've always struggled with meal planning. I totally understand the benefits and why I should do it, it's just not something that's come naturally to me. With an upcoming move, however, it's time to start taking serious inventory of our freezer and pantry to use what we can instead of attempting to move all of it. Some days, however, are harder than others. Some days I roll out of bed and need to get breakfast for the kids right away or they'll wither away from hunger. Or I'm not able to hop in the shower tiill after lunch. Or a planned meal goes awry because I forgot to thaw the chicken we were supposed to have for dinner. I'm not the only one with days like those. Sometimes, we need a little something to help mom win the day. Even if I don't accomplish any of the tips in the above list, I can still wrap up the day on a good note by popping a Jack's Pizza in the oven. 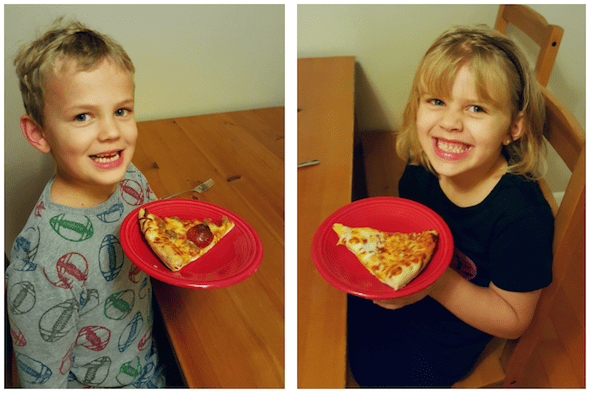 I know my own kids think it's a great day when we have pizza for dinner! How does Jack's Pizza help mom win the day? Jack's uses 100% real Wisconsin cheese with a preservative-free crust. Jack's was originated right here in the United States, in the Midwest! Everyone loves it. When life gets busy you can be sure that everyone in the family will happily eat Jack's pizza. After the 12 minutes it takes to prepare! 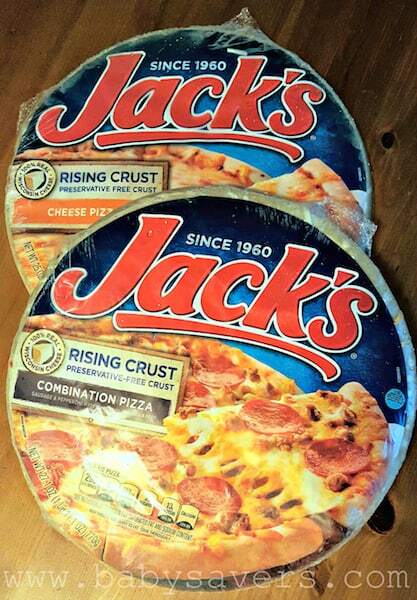 Jack's has always been my favorite brand of frozen pizza. If you've never tried it, use the product locater to see which stores near you carry it. Then visit Jack's Frozen Pizza on Facebook for more information. How do you get your own family back on schedule after a break? I'd love to hear your suggestions in the comments!